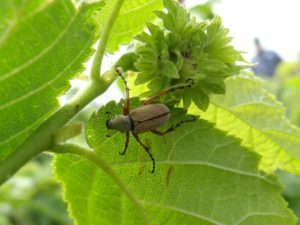 So far this summer, only a few reports of significant defoliation and damage by rose chafers (Macrodactylus subspinosus) and Japanese beetles (Popillia japonica) have been submitted to the state’s DNR forest health specialists. 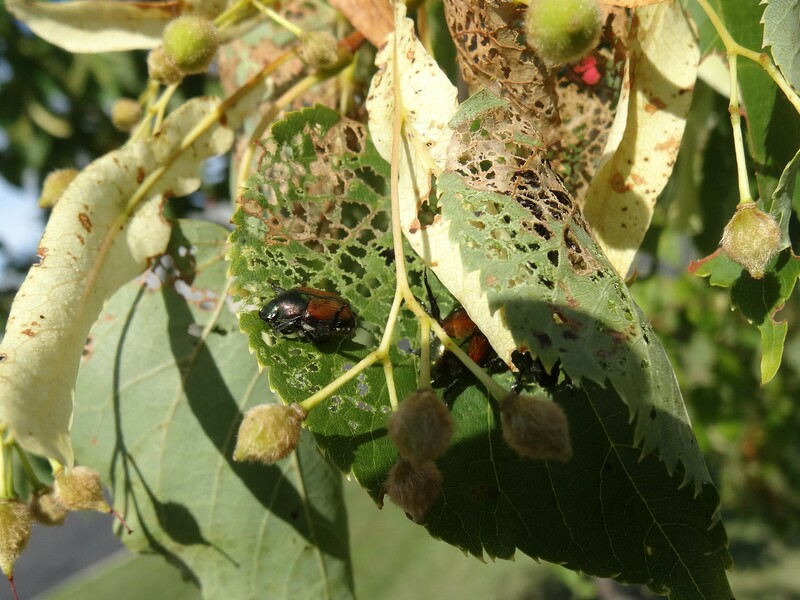 Both of these leaf-skeletonizing beetles feed on foliage of many species of trees, shrubs and other plants. Although activity by Japanese beetles appears light this year, defoliation by rose chafers was reported in Marinette, Shawano, Waupaca, and Trempealeau counties. Rose chafers are native insects; Japanese beetles are non-native. Rose chafers are commonly found in areas with sandy soil, into which they deposit eggs. Eggs hatch into white grubs which live in the soil, feeding on the roots of grass and weeds. In 2017, moderate defoliation from rose chafers was observed in Florence, Marinette, Oconto, Vilas, and Waupaca counties; heavy defoliation occurred in 2005 and 2012. Control is difficult because the adults are good fliers and easily move from neighboring areas to re-infest treated plants. 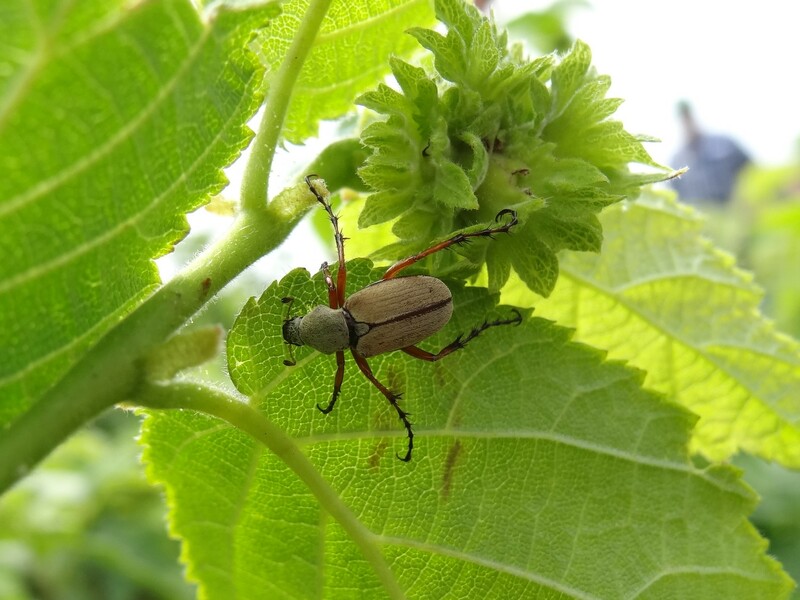 For information on control of rose chafers, visit UW Extension publication A3122. Adult Japanese beetles emerge in southern Wisconsin around the first part of July. In some areas of the state, populations are still slowly building up while in others, such as the Madison area, populations exploded in the past but are now more stable. Some people mistake multicolored Asian lady beetles for Japanese beetles, but they are two distinctly different species. Adult Japanese beetles feed on flowers and leaves of over 300 plant species, including trees, shrubs, adults and herbaceous plants. Their feeding can cause significant defoliation. Larval Japanese beetles (white grubs) live in the soil and feed on plant roots. Visit the University of Wisconsin Extension’s webpage for information on control measures that may be used for adults and grubs.